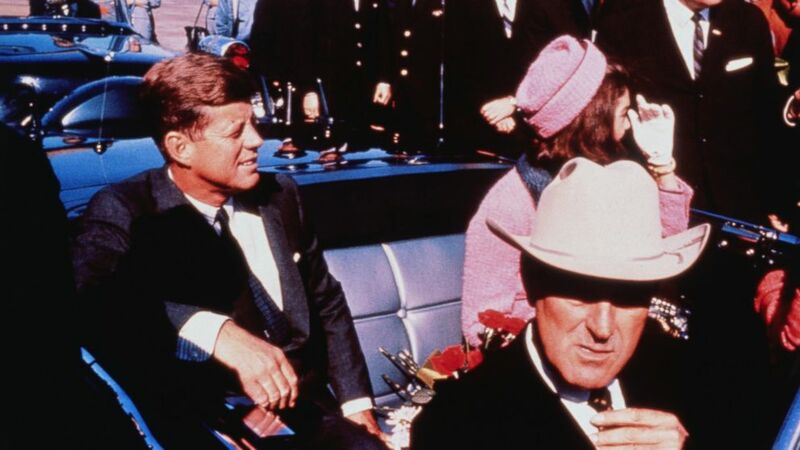 camera (Bettmann/Corbis) Texas Governor John Connally adjusts his tie (foreground) as President .John Kennedy and wife Jackie, in a pink outfit, settled in rear seats, prepared for motorcade into city from airport, Nov. 22 1963. ABC News is live-blogging the assassination of JFK as it unfolded 50 years ago, including archival photographs and news footage broadcast Nov. 22, 1963. The minutes leading up to the Kennedy assassination and the hours that followed are some of the most documented, studied and debated in all of U.S. history. Watch them unfold with us here as we relive the tragedy that befell the nation that fateful day after President John F. Kennedy's motorcade made its way from Fort Worth to Dealey Plaza in Dallas.